February Reading – Filling the shortest month. | Damian Trasler's Secret Blog - Do Not Read! February Reading – Filling the shortest month. It’s been a busy short month, and I haven’t been to the library as often as I’d like. As I mentioned last week, I’m working on a new method of writing, and it’s going well – with a day left, I am only three scenes short of finishing, and have accumulated over eight thousand words in five and a half hours of writing. 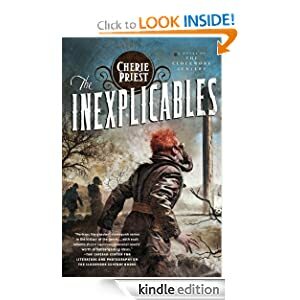 This was a recommended read and I picked up the e-version for my kindle. 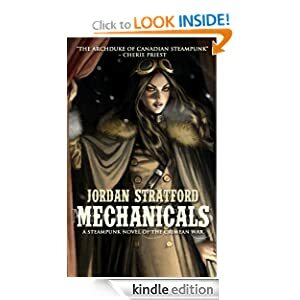 It’s a steampunk adventure, and while I found it engrossing enough, it uses a multi-strand story device that was irritating too. The story of the novel rounds off reasonably well, but with the inescapable fact that there are more in the series to read. It was fun and well done, but I won’t be getting the next one. Every now and then, I go back to a book I have read many times before. It’s comforting, and there is often the joy of discovering something hitherto unnoticed. “Old Man’s War” is one of my favourite audio books, and listening to it inspires me to read this book, the sequel. 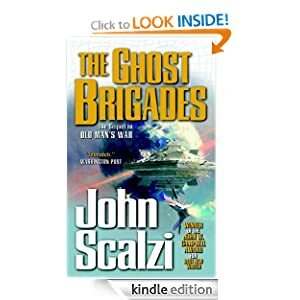 I would not hesitate to recommend “Old Man’s War” and then “Ghost Brigades” to anyone. I was a chapter into this book before I realised I’d read it before. It’s a good attempt to get into the character of Anakin Skywalker as he changes into Darth Vader, something that naturally occurs AFTER he’s encased in the suit that we all know. It’s interesting to me, because it dwells on the problems he has adapting to his artificial limbs after being such a dazzling swordsman and athletic Jedi. 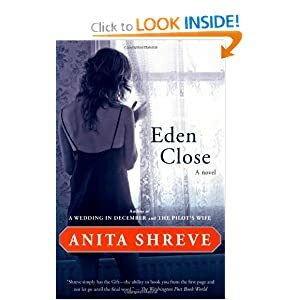 This was a book I wanted to love. 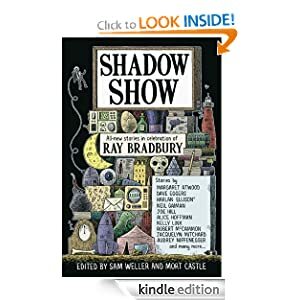 It’s a collection of short stories by published authors who have been inspired by Ray Bradbury. I’ve read some Bradbury (because, who hasn’t?) and I liked it well enough. But I guess I will always prefer Asimov. Sorry. Thus, this collection was impressive and well put together, but not for me. There are some books you read and think “This person wants to win a literary award”. Either the situation described in the book, or the writing will clue you in that this is not entertainment but LITERATURE. The right hand is typing, the left hand is holding the Thesaurus and the head is firmly inserted up the bum. Don’t get me wrong, this is a well crafted story, and I wanted to read it through to the end, but I felt bad I didn’t have a trophy or cheque to award the author when I finished reading. I like to grab the odd graphic novel from the library. They feel like easy reading, when in fact they often cram more ideas and expression into each page than the literary novels like the one mentioned above. In this case, it’s hardly a graphic novel, more like a beautifully illustrated short story. 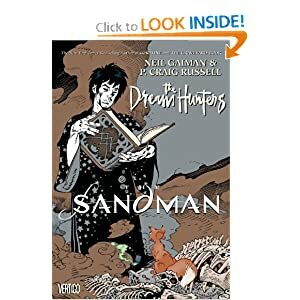 I love Neil Gaiman’s prose, combining pith, poetry and practicality in every line. His stories stay real, even when dealing with the world of dreams. I’m halfway through another collection of short stories, and have a couple of books stacked up for next month. John Scalzi’s “The Human Division” is playing chapter by chapter on my audio book device and I have another two books downloaded and waiting for playing. I think I’m looking forward to March. 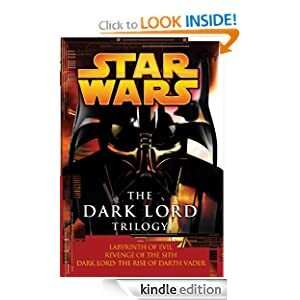 This entry was posted in Book reading, Writing and tagged Books, dark lord the rise of darth vader, steampunk novel. Bookmark the permalink.